Dr. Boyle has been offering exceptional Eye care in the region for the past 25 years and is truly devoted, compassionate doctor. In addition to comprehensive eye exams, Dr Boyle has a special interest in the treatment of Ocular diseases including cataracts, glaucoma, dry eye disease, diabetic retinopathy, and macular degeneration. he also performs refractive surgery consultations. 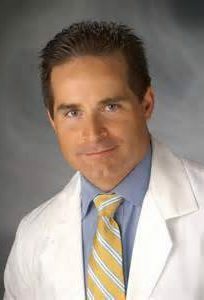 Dr. Boyle trained under Ophthalmologist, Dr. Stephen Pascucci in Cornea and Anterior Segment disease. He was co-investigator for the National Institute of Health sponsored Collaborative Longitudinal Evaluation of Keratoconus (CLEK) study. In addition, he has been a investigator for several pharmaceutical and Ophthalmic devices. Dr. Boyle is Board Certified and a member of the American Optometric Association, Pennsylvania Optometric Association, and the Northeast Pennsylvania Optometric Society and is a Diplomat of the American Board of Optometry. While attending Pennsylvania college of Optometry, he received the excellence in pediatrics award. He enjoys seeing patients of all ages. Dr. Boyle enjoys Mountain Biking, skiing and traveling with his family. He currently resides in Clarks Summit with his wife Kathleen and children, Grace and Kieran.